The Visual Arts program fosters an appreciation of Art History along with the students’ sequential development of personal art skills. 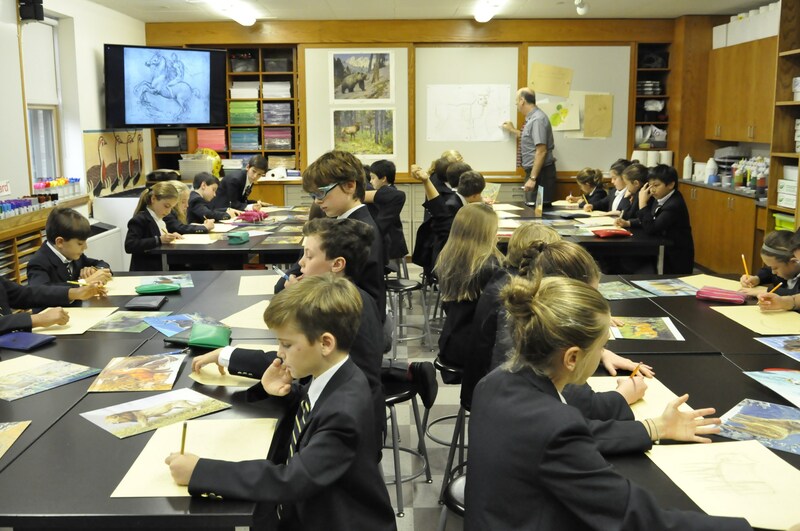 Using various mediums, the students attempt to mimic the style of world renown artists. Students utilize a variety of materials and techniques to create paintings, architectural renderings, drawings and other forms of visual art. The art teacher takes the math standards into account when planning lessons. Student art work is displayed throughout the building.